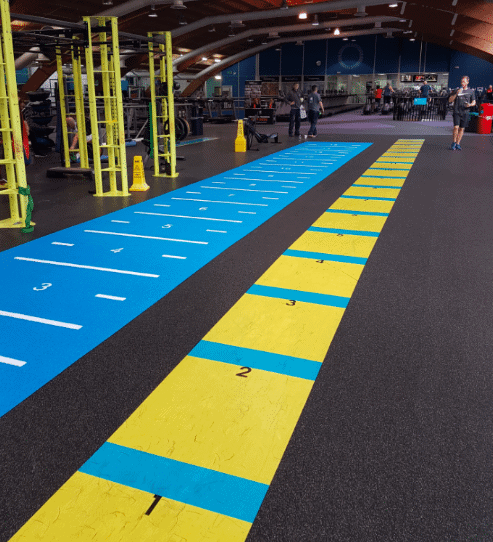 We were approached by Fitness Warehouse to install a sledge track at Total Fitness in Wilmslow. Part of our remit was to design the track so the users could get the most out of this area. The track needed to offer members functionality and give Total Fitness the ‘wow’ factor. 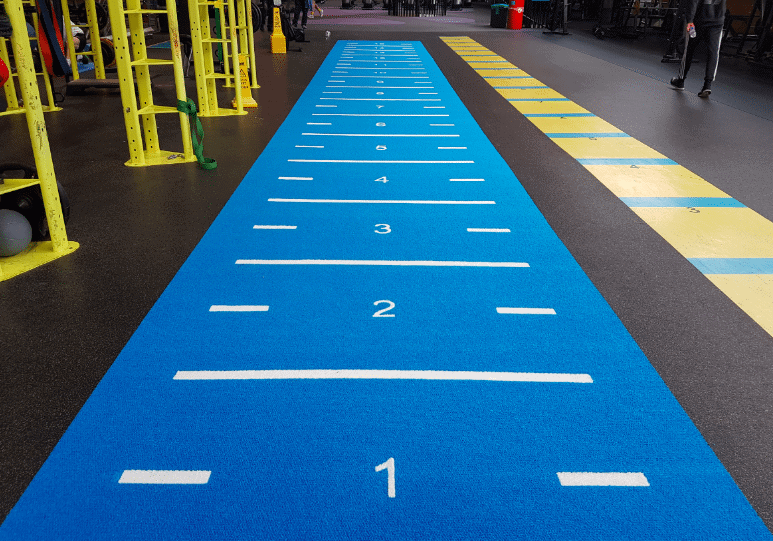 We designed the track so it ran alongside another plyometric track which was 15 metres long. We installed indicator lines and numbers so the track could be used as a measure of effort. 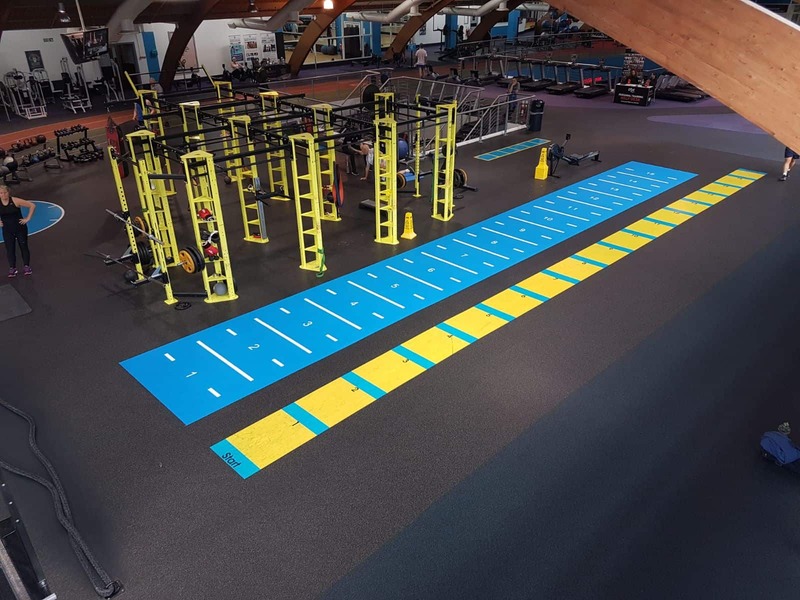 Recreational Coatings Ltd is a specialist Sport & Fitness flooring installer. We operate all over the UK and offer value for money flooring solutions as well as bespoke services.